Will longer tenancies increase the amount of tenant disputes? According to inventory service provider, My Property Inventories, longer tenancies in the private rental sector is possibly bad for business. Recently the National Housing Federation has added its weight to the calls urging for longer private rental tenancies to be standard. 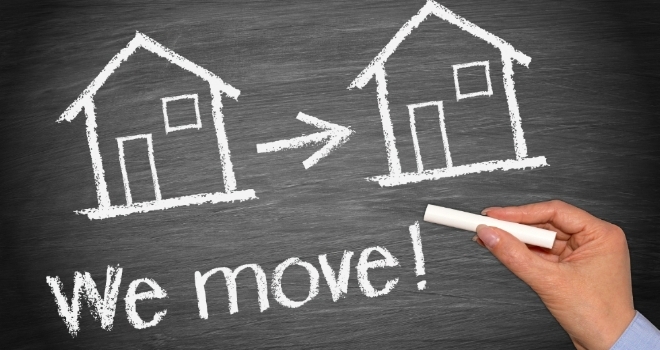 As in excess of 4m households rent from a private landlord, the NHF believes the average tenancy of only 12 months will often cause worry about frequent house moves. Danny Zane, Director of MY Property Inventories believes that longer tenancies will lead to a significant rise in disputes over wear and tear: “Wear and tear is a massive issue in properties over a longer tenancy period. The simple fact is that the longer a tenant stays in a property, the more likely it is that the property will be subject to damage and wear and tear. On the one hand, longer tenancies are good news for landlords and agents, but on the other, they could prove costly. Assessing wear and tear properly needs independent and experienced assessors who can ensure that there are solid grounds for any charges raised against the tenant, backed with hard, irrefutable evidence. Obviously, there is a distinct difference between fair wear and tear and actual damage. For example carpet tread will flatten over time, where there has been foot traffic, but cigarette burns, stains or soiling will require a charge. -The landlord should expect to emulsion walls and ceilings every 3-5 years. -Everything in a property has a limited lifespan. A landlord must expect to have to renew things following a long tenancy eg. Every year a landlord may need to renew things such as - inexpensive door mats, plastic or cheap wooden kitchen ware, ironing board covers, light weight chopping boards, oven gloves, cheap saucepans and paper lampshades. Replacing bath sealant also falls under a landlord’s maintenance issue after a tenancy of one year or longer. Every three years renewals for landlords would cover things such as polycotton bed linen, mattress & pillow covers, duvets, metal colanders, inexpensive kitchen bins, barbeque tools and indoor clothes airers. -Some things should be treated as ‘expendable’ if they are missing or damaged after a long tenancy – items such as plastic toilet brushes, inexpensive pillows & mattress protectors, flower arrangements, plastic shower curtains, houseplants, plastic & wooden kitchen utensils. -Should remember that if something can be cleaned it should be. Cleaning issues are never treated as wear and tear. -The property, its contents and any exterior areas must be maintained to the standard as listed on the inventory at the start of the tenancy. A few minor marks to walls will be deemed wear and tear, but heavy marks will incur a penalty. -If items are broken or light bulbs blown these will need to be replaced before moving out. It will be more expensive if an agent or landlord has to arrange outside contractors to attend the property. -Furniture damage – a few minor scratches to a table top or light wear to corners will be wear and tear. Heat marks and watermarks caused by tenant negligence will be deemed as damage and therefore a chargeable issue.